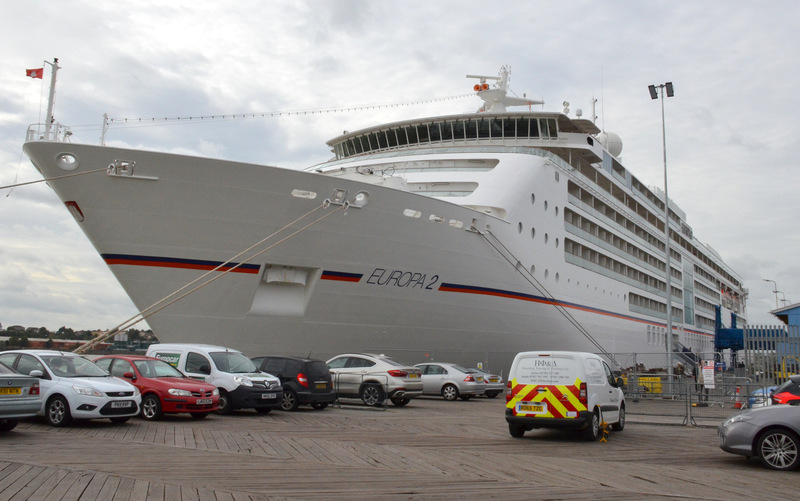 The cruise ship EUROPA 2 on Tilbury Landing Stage on 4/10/2017. 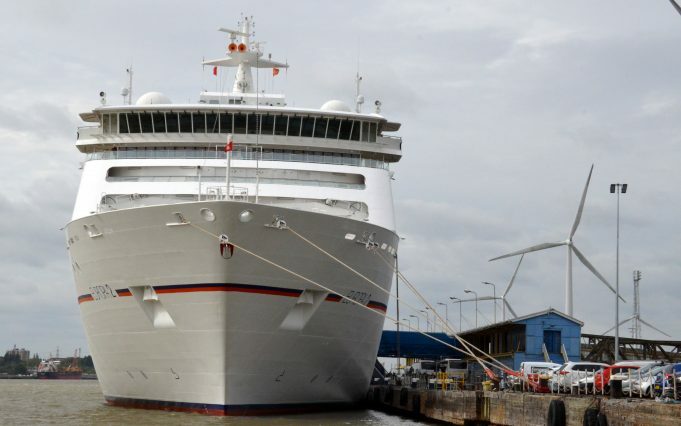 She was built in 2013 at 42,830 grt. 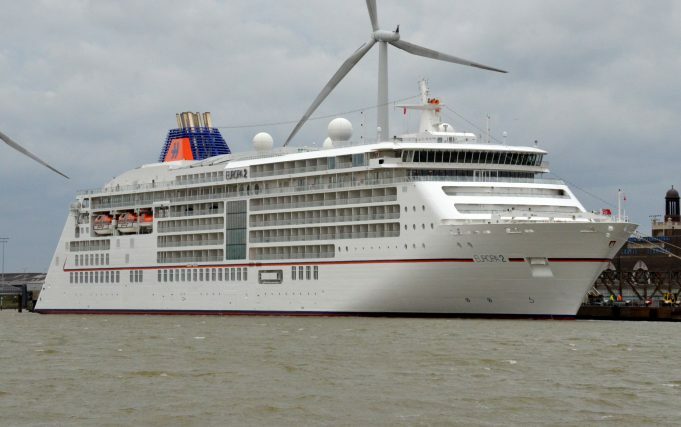 She has capacity for 516 passengers and 370 plus crew.